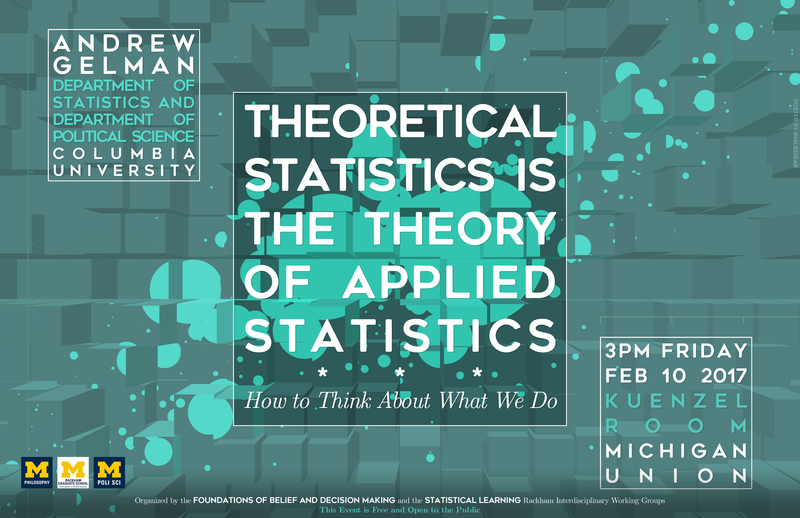 Bio: Andrew Gelman is a professor of statistics and political science and director of the Applied Statistics Center at Columbia University. He has received the Outstanding Statistical Application award from the American Statistical Association, the award for best article published in the American Political Science Review, and the Council of Presidents of Statistical Societies award for outstanding contributions by a person under the age of 40. His books include Bayesian Data Analysis (with John Carlin, Hal Stern, David Dunson, Aki Vehtari, and Don Rubin), Teaching Statistics: A Bag of Tricks (with Deb Nolan), Data Analysis Using Regression and Multilevel/Hierarchical Models (with Jennifer Hill), Red State, Blue State, Rich State, Poor State: Why Americans Vote the Way They Do (with David Park, Boris Shor, and Jeronimo Cortina), and A Quantitative Tour of the Social Sciences (co-edited with Jeronimo Cortina).